We are cruising through the second round of our annual Parking Madness tournament to find the Most Improved Parking Crater in America. We started with 16 new beloved places, but are now down to the Elite Eight — and one quarterfinalist has already moved to the Final Four. That’s right, Minneapolis last week clinched its semi-final berth with a win over Oakland. 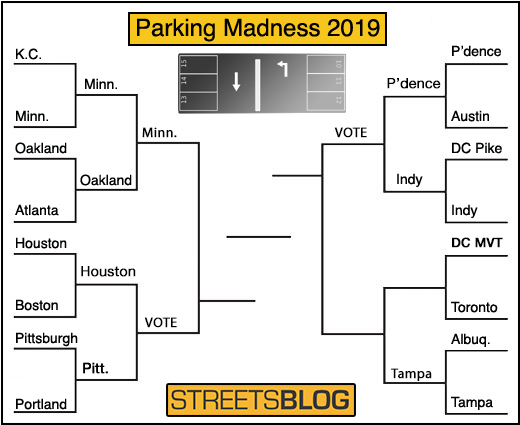 Voting is still open in the other west regional match between Pittsburgh and Houston, although the Steel City and its beloved Schenley Plaza has taken a commanding lead. 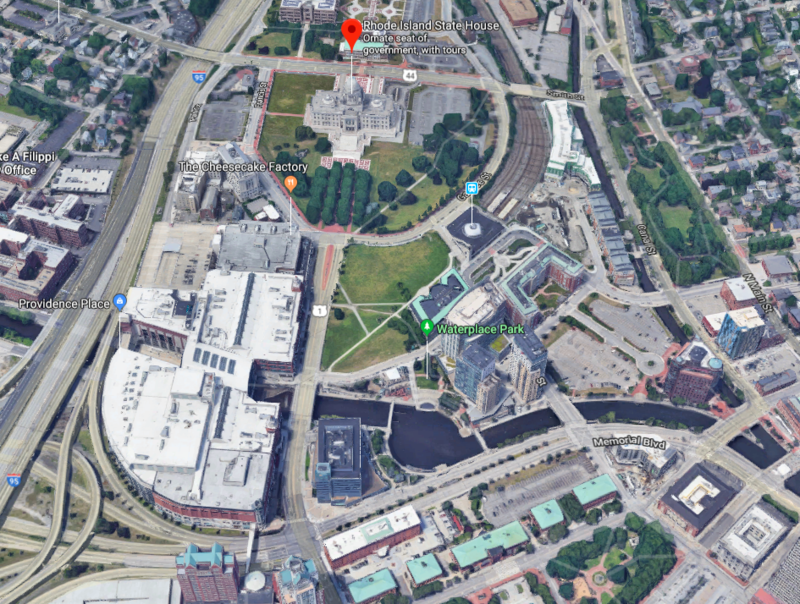 This example from Providence shows the life and death of a particular style of parking disaster: the State Capitol parking crater. The large building you see there at the lower left is a shopping mall called Providence Place. Earlier development had given preference to vehicle-based needs and several tracts of the historic Woonasquatucket River had been buried below blankets of asphalt. 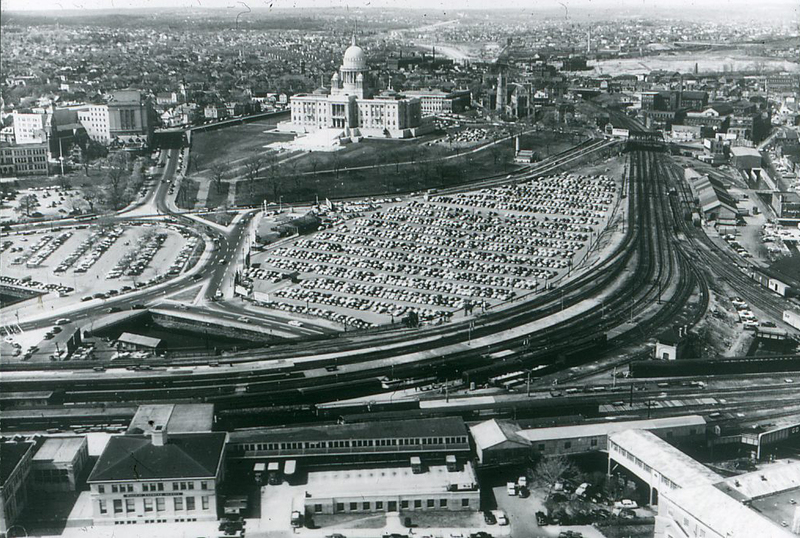 Further, the city’s downtown, which should have been just steps away from the State House, had become virtually unreachable by foot, with a maze of parking lots, freight yards, and rail lines segregating what is now known as Capital Center from the heart of Downtown. In the late 1970s, a new vision was developed for this land, bringing together initiatives to relocate (below ground) a portion of the railroad tracks, create new streetscapes and public green space, uncover and re-channel the river and develop the tracts of land which had been parking lots into commercial, residential and retail space. 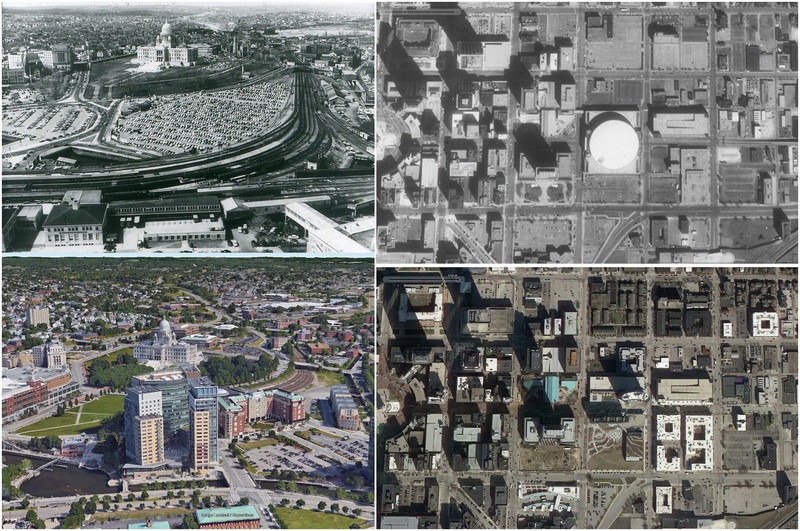 Over the next several decades, this former parking crater became home to new rail station, millions of square feet of new residential and commercial office buildings and public open space. Decades after the river was uncovered and new streets were established to reconnect Capital Center to the rest of Downtown, the City continues to work with developers to fill in the remaining urban fabric in Capital Center. As of early 2019, two key projects are under construction on formerly vacant lots in this area including an 8-story, 120-room extended stay hotel and a 169-unit apartment building. Statehouse grounds can become notorious parking craters, as we saw in last year’s championship, which went to Lansing. But Rhode Island and Providence really deserve credit for not falling into the trap of turning the Capitol area into a asphalt moat. 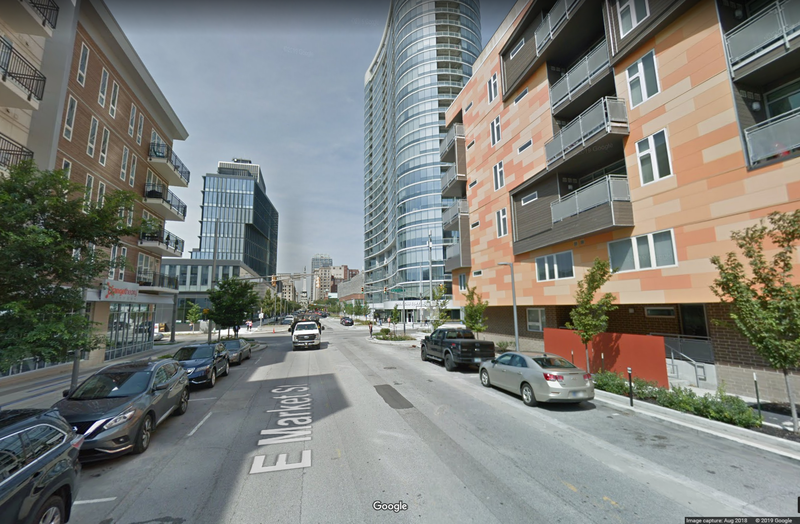 The additions include a transit center, a 28-story residential tower with a grocery store, apartments attached to the side of what was a single-use parking garage, and other mixed-use developments. Certainly encouraging to see this kind of parking crater infill even in cities heretofore not known for great transit options. Which deserves to go on to the Final Four? These are both awesome. Only one can move on, but looks like two winners to me. Really hard to choose. Here were the images I recently made for each to show the before-and-after a little more clearly. Which was the better infill, the wiping out of a classic state house/rail yard parking mess, or the redevelopment of a half-dozen square blocks of a 70s area parking crater? https://uploads.disquscdn.com/images/04e08014e7468d21343c49982c3366b178dae999d59468bd350189dd54e69f92.jpg Maybe Providence for the bonus of also uncovering and reprogramming the riverfront? 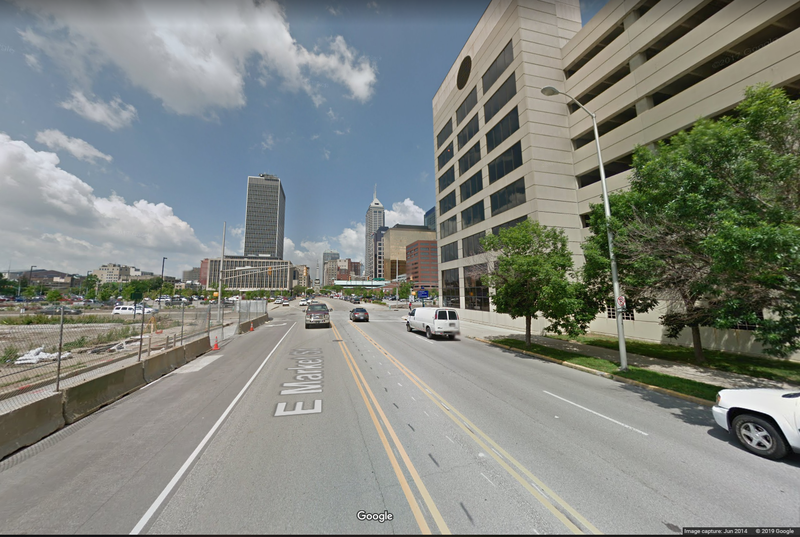 had to look at the map (~500 E Market St) to understand what was going on in indianapolis, and the important thing I figured is that the big parking structure on the right still exists…it’s just got a thin layer of apartments pasted on the front of it. recently went to downtown indianoplace to see a basketball game and i’m really impressed with how desolate the place is. it is 99% regional attraction, 1% local amenities. they can’t change that formula without challenging the ghetto segregation that rings it, so here we are. a weekend spot for suburbanites. i’m abstaining from this round. For me Providence wins! Not only did they uncover the rivers, they moved them and they moved the railway. The route 95 interchange makes it a breeze to glide into downcity, and this was done without tearing down the historic downtown. Today, you can take the train to Providence, and walk north to the Statehouse, east to Brown U or RISD, west to the Providence Place Mall, south along the river walks or south to downtown.